A comparison reveals that today’s bees have a tongue that is 75 percent shorter than in former days. 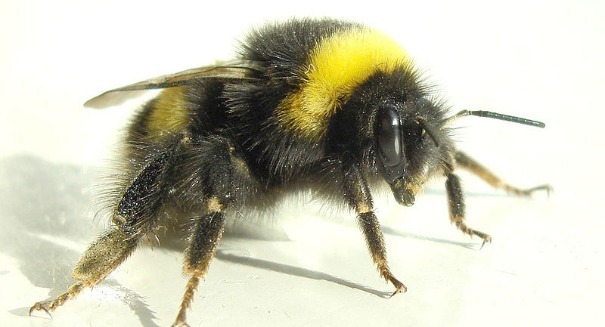 For some time now, the decline of bumblebees has been observed across the world. Yet no one could say for sure why this was happening. However, new research from SUNY College at Old Westbury believes it has found the answer for one species of bee. Lead author Nicole Miller-Struttmann believes that the tongue of the bumblebee is shrinking as a result of global warming. Miller-Struttmann’s team studied several types of bee living in the central Rockies. These bees typically have unusually long tongues that helps them to collect nectar from the deep-tubed flowers that grow in the region. Indeed, the flowers have adapted in such a way that they provide exclusive access to their nectar to the bees in exchange for dedicated and reliable pollination. In recent years, long-tongued bees have grown scarce in the Rockies- as well as in other parts of the world. Miller-Struttmann measured the tongues of two common bee species and compared the results with samples taken from the same location in 1966 and 1980. The comparison revealed that today’s bees have a tongue that is 75 percent shorter than in former days. Moreover, the tongue is becoming 0.61 percent shorter each year. What happened? The bees have not becoming smaller overall nor have short tubed planets become more common in the mountains. Other bee species who may have migrated to the region do not compete with the long-tongued bees for access to the deep-tubed flowers. It is suspected that climate change has disturbed the flowers that the bees depend on- and thus the bees. Over the last 60 years, the dry Rocky Mountains have become even drier. A summer today is two degrees Celsius warmer than it was in the 1950s. This means that water is evaporated quicker. Additionally, the amount of snowfall has drastically lessened- depriving the flowers of the much needed melt water of the thaw. Living on the edge of a draught as caused millions of flowers to perish. Miller-Struttmann calculates that bees today have 60 percent less food than their ancestors did in the 1970s. The long-tongued bees can no longer rely exclusively on the deep-tubed flowers. They must now compete with other bees for the nectar of other flowers. The bees will be able to survive for some time by changing their habits and evolving as necessary. However, there is no way of doing the long-term effects of these changes nor if it will be enough to save the bees. But what about the deep-tubed plants?